Owing to our extensive years of industry experience and profound market understanding, we are providing PP Caps. This PP cap is inspected on various parameters by to make certain its defect free range. As well, offered PP cap is designed from the best quality of plastic & modern techniques in accordance with the set norms of market. Our customers can avail this PP cap from us at market leading rates in a committed time frame. We, Jsa Enterprises, had sowed our seeds in the year 1997 and have been growing at a fast pace since then as manufacturers and suppliers of Packaging Products and Machines. 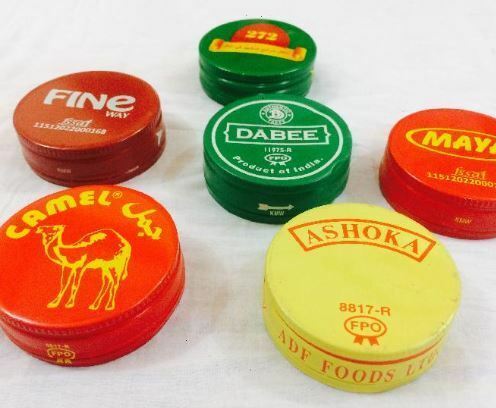 We have emerged as winners in the market by providing a wide variety of Induction Wads, Sealing Wad and Packaging caps. We do not escape from implementing the latest trends as demanded by the market. Our products come with an extended life along with an unmatched quality that distinguishes us from our competitors in the market. Infrastructural base has been our key strength which has enabled us to deliver happiness to our customers. We deliver and dispatch our items in excellent packaging and accept multiple modes of payment which is completely as per the customer’s interest and choice. We are a company that always go by the industry protocols and the specified guidelines. We do believe in accepting the challenges but not at the cost of breaking the rules. Our products go through multiple rounds of quality checks before they are approved from our side. We have grown from strength to strength since the day we started and there has been no looking back till date. We have a very decent annual turnover which is increasing at an extremely high pace.